WHY GO: A few years ago, Richmond was named one of the top Ten River Cities in the country for Class IV whitewater kayaking. When Patrick Henry bellowed the famous “Give Me Liberty or Give Me Death” speech, when George Washington planned out the 1.25 mile Canal Walk, when Thomas Jefferson designed the State House, when Edgar Allan Poe flirted in town gardens, kayaking wasn’t even a thing. 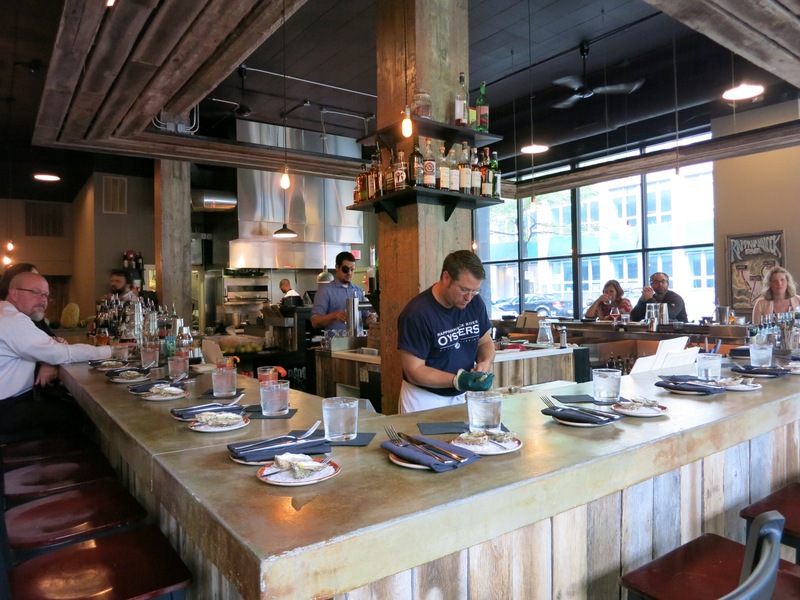 Now, more and more people are venturing into a transitioning downtown to explore warehouses and row homes that have been repurposed into trendy restaurants and inns. Whole neighborhoods are being flooded with breweries, distilleries and cideries. There’s a vibrant, youthful, Brooklyn-before-it-got-upmarket vibe in Richmond and great ways to access that energy. Let the Getaway Mavens clue you in on this getting cooler by the year, cusp-of-Old-South escape. VISIT: Virginia State Capitol. 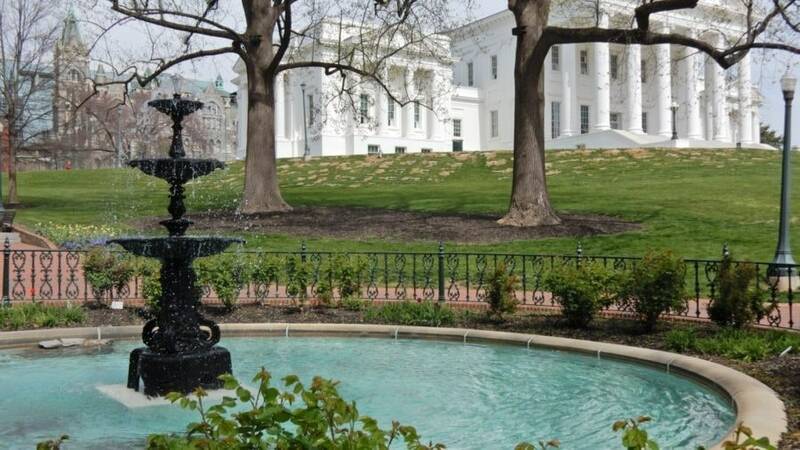 Designed by Thomas Jefferson, and completed in 1788, the blazing white neoclassical Virginia State House stands proudly atop a hill adjacent to the small but beautifully landscaped Capitol Square Park, where Jefferson Davis took the Oath of Office as President of the Confederate States. Start at the Visitor’s Entrance down the hill on Bank Street (across from the newly renovated Commonwealth Hotel). After clearing security, you can either take a guided or self-guided tour, which brings you through underground tunnels, past informative exhibits, and then into the Capitol Building itself. The most life-like sculpture of George Washington in the world sits in the center of the Capitol’s rotunda. Sculptor Jean Antoine Houdon traveled to Mount Vernon to take measurements and a life-mask of the country’s first President – and used them to carve the perfect replica of GW specifically for this space in 1796. During the Civil War, Robert E. Lee accepted command of the Virginia forces here on April 23, 1861, and nine years later (April 27, 1870), the floor above – the Supreme Court of Appeals – collapsed, killing 62 and injuring 251 people who had crowded in to watch the proceedings in a contentious case. Don’t leave before heading up to the 3rd floor rotunda Governor’s Gallery, ringed by portraits of Virginia’s Governors – with a great bird’s eye view of the George Washington statue. Open Mon-Sat 9-5, Sun 1-5, free one hour guided tours. VISIT: St. John’s Church. It was a sentence that spurred a Revolution: “Give Me Liberty or Give Me Death!” Virginia was the wealthiest of the colonies with the most to loose, and St. John’s Church was the largest building in Richmond to hold a political gathering, thus George Washington, Thomas Jefferson and Richard Henry Lee were in attendance on March 23, 1775 when Patrick Henry thundered his fateful words, inspiring them to take action. Take a “tour” – more like a one-man show – and I dare you not to be inspired as well. 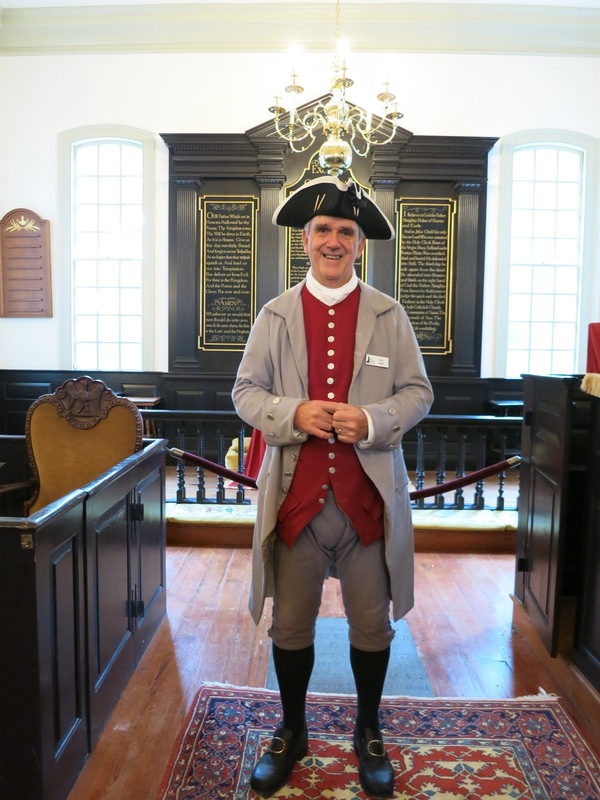 Sit in the Church pews, and Ray Baird (or an alternate guide), wearing Patrick Henry garb, takes us back in time explaining to visitors that for 150 years England has left the Colonies alone while we elected our own officials and grew rich on our own, thank you very much. Now, England is in debt and relies on the Stamp Act to generate revenue, which leads to the “No taxation without representation” Tea Party revolt and British soldiers with guns appearing on our shores. It’s happening in Boston. It’s just a matter of time before they come here, to Virginia. What would you do? It’s a thinking-person’s tour, timely in any political climate and should be a mandatory first stop in Richmond. The fact that it’s entertaining and engaging makes it all the better. 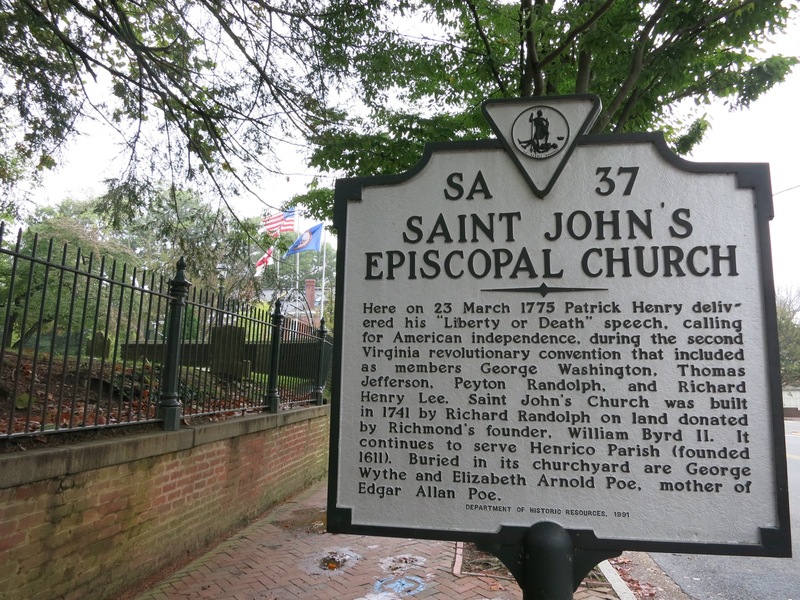 You can wander the church grounds and cemetery for free – to see the graves of Edgar Allan Poe’s biological mother (who died when Poe was a year old), and George Wythe, the first law professor in the USA. Open Mon-Sat 10-4, Sun 1-4, tours on hour and half hour (last one at 3:30), $7,closed January. Complete reenactments take place every Sunday from Memorial Day to Labor Day. 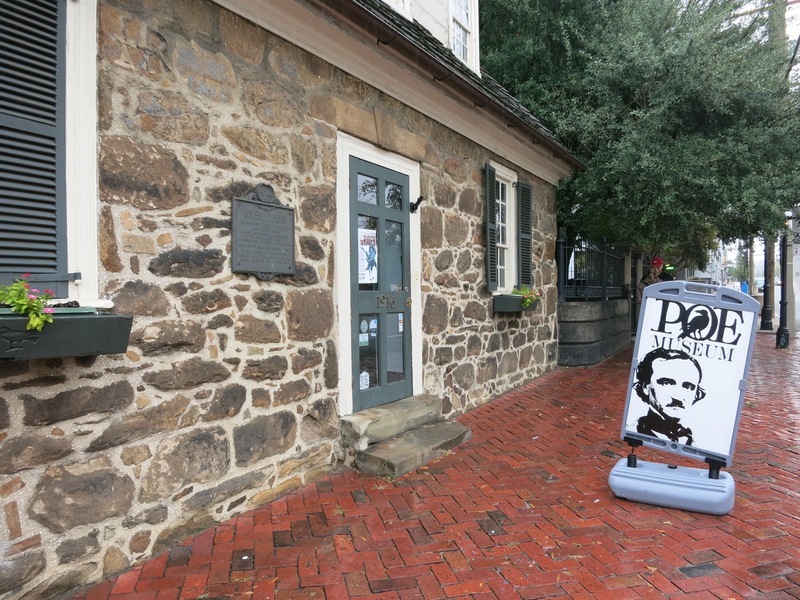 VISIT: Poe Museum. Edgar Allan Poe was born in 1809, the same year as Abe Lincoln and Charles Darwin. And though his 1844 poem, The Raven, made him a huge success, he received only $15 for it, and earned an estimated mere $6,200 over his lifetime, mostly from speaking engagements near the end of his life at age 40. It’s this kind of perspective that makes the Poe Museum in Richmond stand out from others. Poe arrived in Richmond, VA as a baby – his 24-year-old mother deathly ill from typhoid. When she died, the Allan family adopted him – endowing him with the middle name that would identify him through life and death. Though the museum is not located in any home that Poe inhabited (and there were many along the Eastern seaboard), it does hold artifacts like his boyhood furniture, elaborately stitched clothing, portraits of the women in his life (again, there were many), first copies of his published books, handwritten poems, his notes on Milton and Shakespeare, a backless chair (his boss cut off the back to make him sit up straight), and many decidedly un-sinister photographs of the handsome young man. Poe died in Baltimore under mysterious circumstances: he was found delirious and in strange dress, and the cause of his death remains in dispute. Take a 45-minute audio tour, and if you’d like, smooch his bust in the outdoor courtyard. 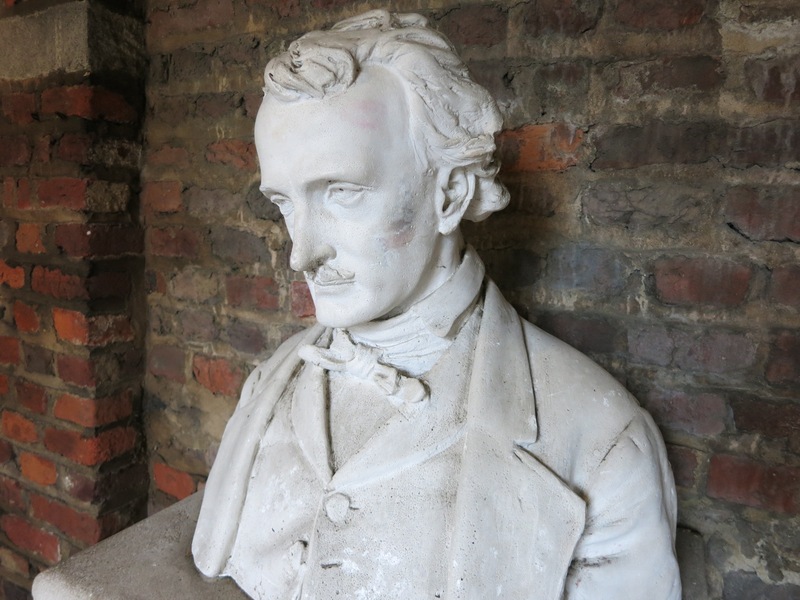 Lipstick marks attest to the fact that Poe remains a beloved cult figure. In addition to weddings and tours, the museum offers creative programming, like the very popular afternoon “Unhappy Hour” and Paranormal Investigations. Tues-Sat 10-5, Sun. 11-5, $6. TOUR: Segway of Richmond. 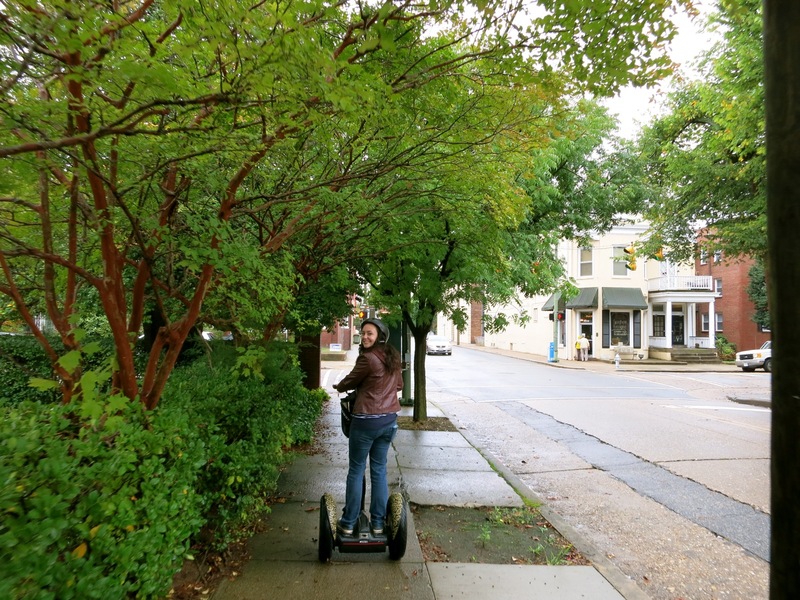 The best way to see a large swath of Virginia’s State Capital city is via Segway, and Segway of Richmond offers a good variety of tours. If this is your first time in Richmond, take the popular Richmond Landmarks Tour, which rolls down sidewalks of cobblestone streets, through the Canal Walk, to Monument Ave., the State House and other historic sites. Or opt for a tour of the Hollywood Cemetery – the second most visited cemetery in the country where three US Presidents (Tyler, Monroe and Davis) are buried. If you’ve been there done that, the Downtown Public Art Tour brings you to the best murals and sculptures in neighborhoods where the bold and talented are turning things around. Check website for tour times, rates from $50-$68 per person. DO: River City Food Tours, Carytown Tour. 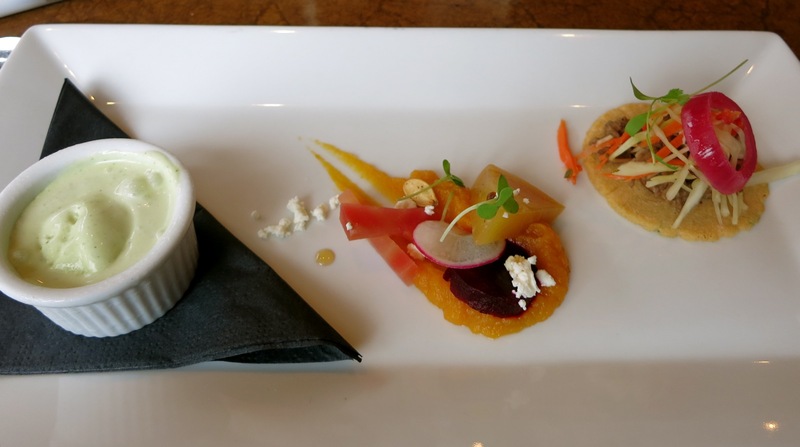 “Over the last 8 to 10 years, Richmond has turned into a ‘food powerhouse,’” says Brian Beard, the bearded owner/guide of River City Food Tours, and on this tour, guests sample the goods from six restaurants and cafes. 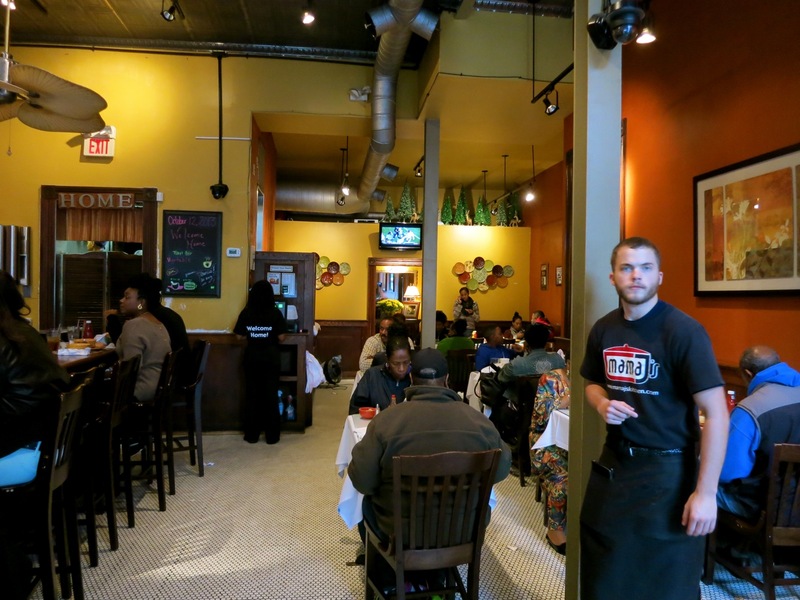 Though the amiable Beard and his guides run several tours, funky Carytown is a good first choice, and ever changing. “With our tours, we want you to feel that you have a friend in the neighborhood. We want you to feel like an insider.” Brian has indeed proven to be that friend – his River City Food Tour business growing leaps and bounds in popularity with both tourists and locals. One can say that Carytown originated as a shopping district in 1938, when the first shopping center on the entire East Coast that could accommodate scores of cars – Cary Court – was erected here as the city of Richmond spread west. Cary Court still draws them in, with fun boutiques and restaurants. Look for the photo from 1947, which shows Maytag, A&P, and other stores long gone. Though Beard changes up the stops, your tour might begin at the popular coffee and Panini eatery 10 Italian Café, move on to the 13-year-old French Brasserie, Can Can in Cary Court, then to Home Sweet Home – a new rustic down-home restaurant in the former Mezzanine space, and next, the lively tea spot, The Tottering Teacup, owned by the bubbly and colorful Anatash Werne. Beard loves to promote new restaurants, and the Broken Tulip is a worthy and unique one. Sariann Leher, and her husband, David, plan to “build a community around food” with 6 course tasting dinners and local chefs invited to set up pop-up kitchens here midweek. You’ll most likely end the tour with sweets at Carytown Cupcakes where the baked goods are so delectable, lines form out the door. You’ll end the tour happy, full, and ready for a nap! Carytown Tour Sat and Sun 2-5, $58 per person. 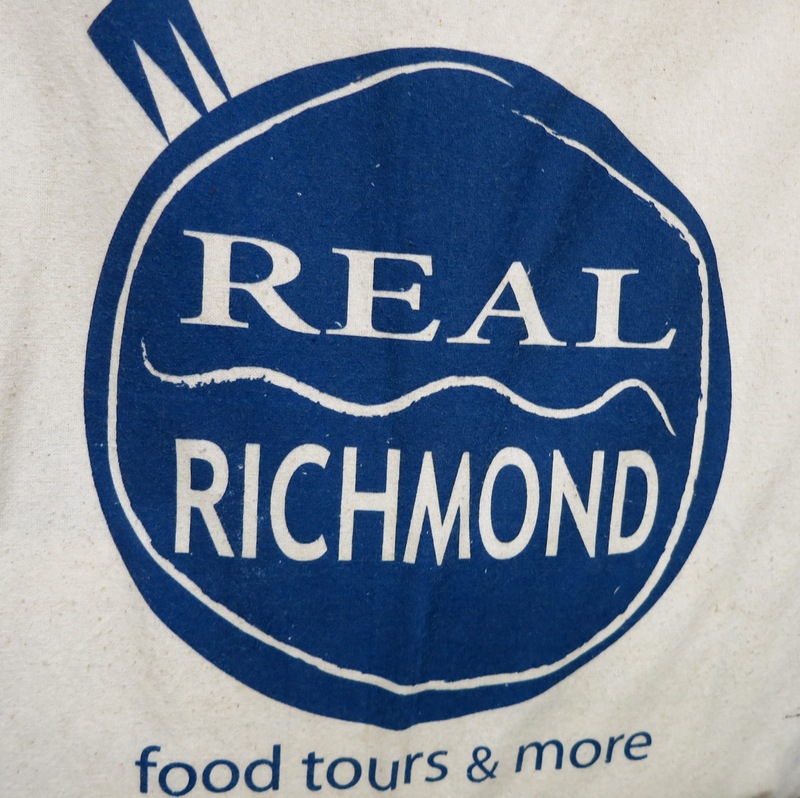 TOUR: Real Richmond Food Tours. As Richmond is a city of growing culinary delights, you can never get enough when it comes to city food tours. Real Richmond runs a series of ten neighborhood tours throughout the year, and if I lived in Richmond, I’d be signing up for every one. Susan Winiecki, editor of Richmond Magazine, leads groups on a culinary exploration of Richmond’s neighborhoods, “taking to the streets to show you the inside scoop on what’s going on in Richmond today, seasoned with River City’s lively history and impressive architecture.” One example – The Wards: The Art and Soul of Richmond – covers the gentrifying Arts District and the “Harlem of the South” – Jackson Ward neighborhood. Home to free Blacks, immigrants and the working class pre-Civil War, this neighborhood claims the largest concentration of Antebellum houses with wrought ironwork second only to New Orleans. In 1870, the area was home to 50 Black owned businesses. By the early 1900’s over 400 African Americans owned establishments here. Trooping past tattoo parlors and empty storefronts, you’ll meander on sidewalks heaved up by roots of old trees to places like trendy coffee shop, Lift – bright green, funky and indicative of the establishments that are re-wiring, and “lifting” blighted neighborhoods from gloom. Next to the Southern-cooking, soul-food mecca, Mama J’s. and oyster-haven Rappahannock where you might find Chef Dillon Fultineer shucking those bi-vales at the front of the bar. Onward to experimental South-American-influenced Saison, and ending at the newly designed Lemaire Restaurant at the Jefferson Hotel. Most public 1.5 mile neighborhood tours last roughly 2 ½ to 3 hours and cost $56.60. VISIT: Virginia Holocaust Museum. Warning – this is a tough hour for anyone who walks though the door of this excellent, compelling, somber, and oft-times horrifying museum, with a no holds barred examination of an incomprehensible era in recent history. Exhibits includes graphic photos from Death Camps, Displacement Camps, and a recreation of parts of the Nuremberg Trials via diorama and audio. A recent study showed that Americans are “forgetting about the Holocaust,” with a fifth of Millennials not even sure what it is. That is terrifying – and a reason that more people should visit. Open Mon-Fri 9-5, Sat and Sun 11-5, Closed on Jewish High Holidays, Thanksgiving, Christmas and Eve, and New Years Eve, free. GO: Lewis Ginter Botanical Garden. Blooming with flowers in Spring, this city respite pleases the eye, calms the mind, and somehow gets kids to love, respect and appreciate flowers. On 50 acres, with ponds, pedestrian bridges, fountains, a conservatory, a butterfly zone, and massive gift shop, I wanted to stay way past closing time just to Zen out within a marvelous landscape. Kids and those who love them also clamor to the Tree House, Children’s Garden, and Water and Sand Activity Areas, where they can play all day. There are daffodils, ornamental grasses, hillside meadows, Cherry Trees, and more than 1,800 roses in the Louise Cochrane Rose Garden. Though considered the #4 Best Public Garden in North America by readers of USA Today, the Lewis Ginter Botanical Garden is somewhat under the radar for visitors from outside of Virginia. I’d say it should be near the top of the attractions list for first timers to Richmond. Open daily 9-5, $13 adults, $8 kids 3-12. VISIT: Virginia Museum of Fine Arts. This world-class encyclopedic museum – covering ancient to modern in two distinct wings – can take hours to see. If you just have an hour or so, beeline to the Faberge Egg and Art Nouveau/Art Deco exhibits, which are approachable in their scope. Open daily 10-5, free for general admission. VISIT: Virginia Museum of History & Culture. You’ll find this sounds-boring-but-is-actually-fantastic museum right next door to the VMFA (in fact, they share a parking garage). Chock full of local history curated for maximum impact, don’t miss “The Story of Virginia: An American Experience” in the Edmund Randolph Williams Gallery, illuminating those pivotal points in Virginia History that made the USA what is it today. The most imposing room, by far, is the Cheek Mural Gallery, a soaring space devoted to dramatic depictions of “Seasons of the Confederacy,” painted by artist Charles Hoffbauer specifically for this space. Open daily 10-5, $10 adults, $5 youth. VISIT: Black History Museum and Cultural Center of Virginia. This small, minimalistic, two story museum is the polar opposite of the venerable one in Washington DC. Moved to the renovated Armory (built in 1895 for African American Militia) turned school turned recreation center, turned museum in 2016, this welcoming and thought-provoking place highlights Slavery, Emancipation, Reconstruction, Jim Crow, Brown Vs. Board of Ed, Civil Rights Era, and Black notables, in several spare rooms – utilizing enlarged photos, quotations, and interactive boards to minimize clutter. The contemporary glass entrance can be found at the rear of the 1895 building. An original Woolworth’s sign and a recreation of the soda fountain from the Greensboro Sit In graces the gift shop area. $10 adults, $6 children, Open Tues-Sat. 10-5, Sunday by appointment only. Closed Mon. PHOTO OP: Statue of Maggie Lena Walker – erected in July 2017. Walker, the daughter of a slave and self-made millionaire, was the first woman of any race to charter a bank in the United States (in the early 1900’s). KAYAK/RAFT: Riverside Outfitters. Yes, astoundingly, there’s whitewater right in Richmond. In fact, you’ll begin miles out of town, float and splash through calm and rapid streams to end up at 14th street. It’s a blast in season and just another way to view Richmond from yet another perspective. 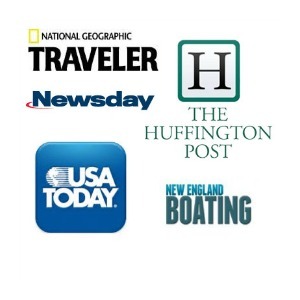 Flatwater kayaking tours, $50, whitewater rafting trips, $70. TASTE: Blue Bee Cider. You’ll stumble on Blue Bee Cider in an old Police Horse barn in the Scott’s Addition neighborhood of Richmond – an industrial area where breweries and cideries are opening at a blistering pace. So blistering, in fact, Scotts Addition is alternately termed “The Beverage District.” Try a flight of dry or sweet hard ciders ($9 for 3 1oz pours) infused with bourbon, ginger, or other innovative ingredients – to enjoy either inside or outside in the former stables courtyard. For those eager to try other spirits, wander the transitioning Scotts Addition sector of Richmond. Join any party in process in nearly 30 breweries and wineries from The Answer Brewpub to Vasen Brewing Co. With food trucks galore, you don’t have to even leave for a quick dinner. TEA: The Tottering Teacup. Owner Anatash Werne keeps a trunk brimming with fancy hats for customers to don while they sip a variety of teas from china cups, and nibble on the delectable little cakes. Don’t expect doilies and old-fashioned food in this bold-hued parlor. Playful and spacious, it’s for a whole new generation of tea lovers. EAT: 10 Italian Café, where the proprietary dark-roast coffee is a hit in the mornings, and Grandma’s crispy bread recipes give Panini’s a tastey and tooth-pleasing crunch. EAT: Little Saint. This little spot, serving “thoughtfully sourced food and drink,” in a former gas station, has made a big splash in Richmond – for good reason. Friendly bartenders mix up “Cocktails by Era” – reviving anachronistic concoctions from The Golden Age Pre Prohibition (1880-1920), International Era (1920-1930),Tiki Boom (1934-1950) and Rat Pack Era (1950-1960) and of course contemporary drinks. Ask for iced tea and your server will pluck a mason jar from the windowsill – tea brewed perfectly by the sun. A taste of the wildly incredible Fried Mushrooms ($5) elicits joy, as does the Chicken Shepherd’s Pie – made with roasted chicken, ginger, jalapeno ettouffee, and curried mashed sweet potatoes piped like icing on a cake. EAT: Can Can Brasserie in Cary Court. A bone fide French Brasserie, with every piece of décor made in France, the cavernous mosaic floor center room, and smaller party rooms, hold over 600 people per meal in total, rendering Can Can one of the largest restaurants in Richmond. Helmed by Richmond native, Chris Ripp, who got his first pair of shoes in the shoe store formally in this space, Can Can serves up everything from French pastries to five course meals paired with wine. In need of a snack? Can Can’s “Frites” are amazingly out of this world. EAT: Broken Tulip. Sariann Leher, and her husband, David, serve a complete 6 to 12 course meal for 26 twice an evening every Thursday, Friday and Saturday. 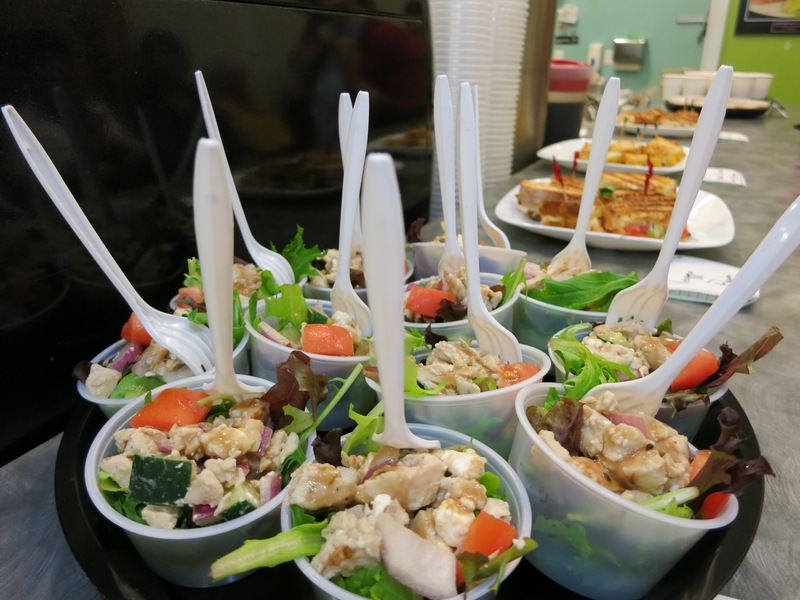 There is no menu – everyone eats the same thing – but you can be sure the chefs showcase the best of local farms, and plan to “build a community around food” with local chefs invited to set up their own pop-up kitchens here midweek. Sari and David started a supper club in their home in Portland OR, and kept their original dining table as a reminder of their restaurant’s origins. It now serves as one of two large tables around which patrons dine family style. Dinner, $50 per person, with “generous-pour” wine pairing an additional $42. EAT: Home Sweet Home. Were tomato soup and grilled cheese your childhood comfort foods? You’ll find excellent and unique versions at Home Sweet Home – a new rustic down-home restaurant in the former Mezzanine space. EAT: Citizen Café. A communal, amiable, fresh-food spot near the State House – it’s got “international” offerings from tacos to falafel. My favorite – the Fried Piri Cauliflower sandwich (comes with Chicken, too $9.75). EAT: Sub Rosa Bakery. Lines into Sub Rosa Bakery form early in the charming historic neighborhood of Church Hill, and no wonder. Pastries, brown and flakey-crunchy, emerge warm from the wood-fired oven and are immediately snapped up. Flat buns are as big as salad plates, and I’d drive 7 hours from my Connecticut home just to have one again. They are that ambrosial. EAT: SB’s Lakeside Love Shack, across from Lewis Ginter Botanical Gardens. Take the B 52’s song, Love Shack, break it up into menu items, and you’ve got Jukebox Money Grilled Cheese, It’s As Hot as An Oven Grilled Cheese, Wearing Next to Nothing Egg Salad, It’s About To Set Sail BLT – you get the idea. You might just pass this Funky Little Shack, which isn’t a shack at all, but a storefront in a strip shopping center, but you probably won’t, as The Whole Shack Shimmies on the days that cocktails, called Love Potions, rule. A solid 5 on most review sites, SB’s Love Shack rocks in more ways than one. EAT/OYSTERS: Rappahannock. Come right into this plucked-from-the-bay-fresh oyster spot, and you’ll find bartenders reaching under the bar to shuck those bivalves right before your eyes. Compare the salty, briny taste of Chincoteague Oysters to the sweet clearwater Rappahannock River Oyster – you don’t have to choose. This restaurant is basically a delivery device for the underrated Chesapeake Bay area oysters, and they will hook you (or is that scoop you up?) for sure. EAT: The Roosevelt Restaurant. In a former pharmacy, tin ceiling and worn wooden floorboards still intact, this new Nouvelle Southern eatery has gained notice and even on weekday nights hums with a diversely aged crowd. As is the trend now, cocktail names reflect a youthful sense of humor. Order The Seersucker – bourbon, sweet tea, bitters with “charred lemon cube,” or She Wolf Paw – apple brandy, green chartreuse, crème de cacao. The menu features down-home cooking: Catfish, Black eye Peas and Rice ($17) hits the mark. 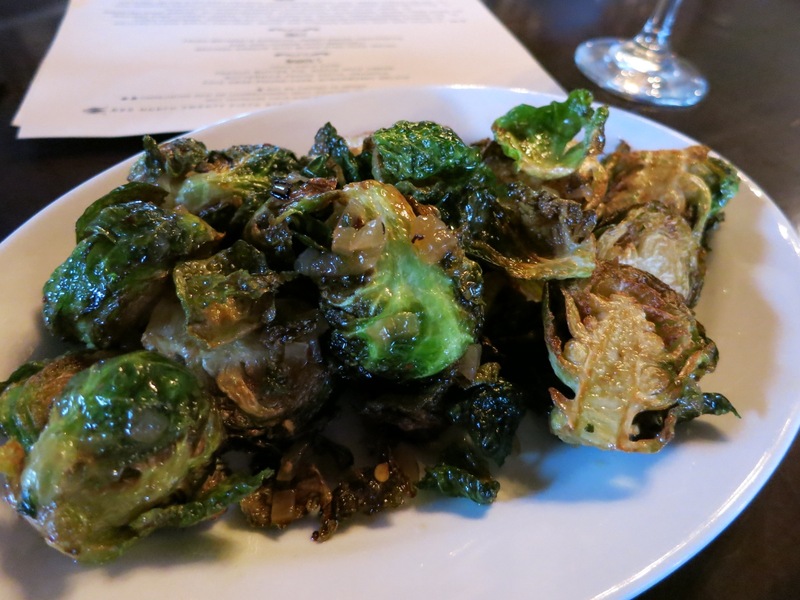 Graze on sides like fried Brussels Sprouts ($4), and end the meal with Coca Cola Cake or the inexplicable Foie Gras Pound Cake (?!). EAT: Acacia. Acacia is the most consistently recommended surf-and-turf-to-table restaurant in Richmond. Rockfish, Grouper, Chicken, Pork Chops expertly prepared – all in the mid $20’s range. EAT: Mama J’s. Chef/owner Velma Johnson worked for the Sheriff’s Department before opening up her own catering business. Evidently filling a niche in Richmond, her food was in such demand, clients urged her to open a restaurant. She did and it hasn’t been empty since. Johnson makes the most superb catfish nuggets ($6), yams, and her famous “Rum Cake” – ideal for people who don’t think they like rum cake – and incredible, pork-free, vegetarian collard greens ($3). I’d like a vat of that, please. EAT: Saison. Passionate chef-owners are on the cutting edge of the craft beer and modern whimsical cocktails revolution with a Jumbo-jet-sized drink menu in a Smart-Car dimensioned space. Saison has curated a peculiar draft list that “plays well with food,” and wait-staff are happy to pair up drinks with the innovative Southern and Central American inspired cuisine, or, in quirky cook-speak, “Colonial foodways coming up from Latin America.” Fun menus pasted into travel-guide photography books delineate offerings like toothsome Oxtail Sopes with Masa Cakes $9, a cornucopia “Fall Salad” ($7) and Cilantro Mint Ice-Cream. Bring in your favorite vinyl record and get $5 off your bill if it’s chosen to play. The strangest one yet? Sermons by Billy Graham. 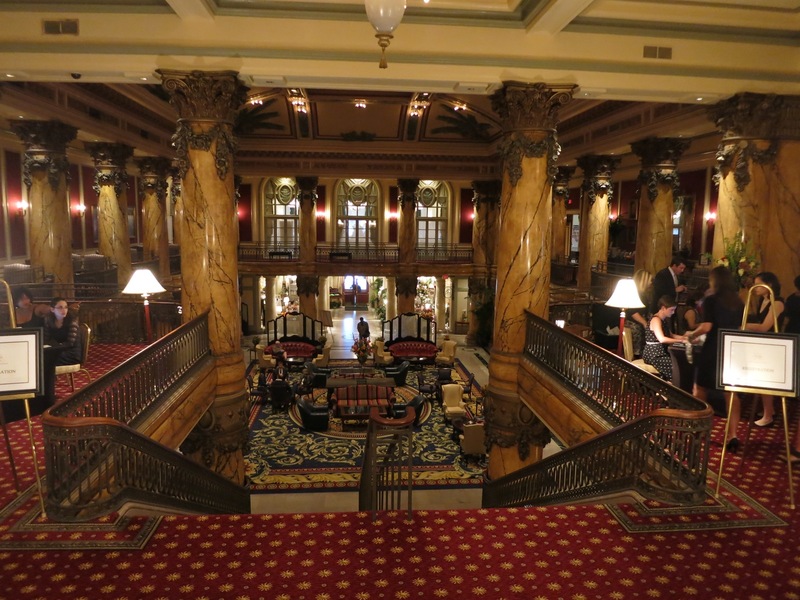 EAT: Lemaire Restaurant at the Jefferson Hotel. Renovated inn 2009 to reflect a more casual dining environment, Lemaire reigns as one of Virginia’s Favorite Restaurants. Using local purveyors, honey from rooftop hives, and on-site garden herbs, New American dishes take your taste buds on a flavorful ride. The Butternut Squash soup is certainly a “Hug In A Bowl,” and other playful menu items are a far cry from the fine, but stuffy restaurant it was before. 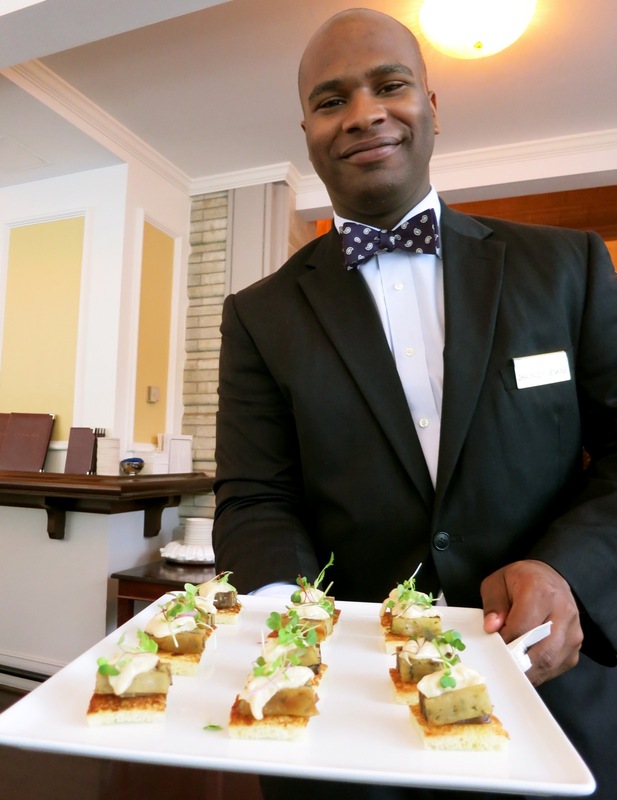 The more casual bar draws an “after work” crowd with “Create Your Own Manhattan” swing, and you can find fascinating frugal foodstuffs – just 3 appetizers for $30 – in the dining room. STAY: Commonwealth Hotel. What once was just a plain Jane “Government hotel” is now an artsy, luxury boutique hotel. Its claim to fame? Sweeping views of the Virginia Capitol Building on the hill, from several corner suites. A Maven Favorite, you can read the complete review HERE. STAY: Boutique Hotels are booming in Richmond – starting with the above Commonwealth, the below Linden Row Inn, and the newest funky-spacious Quirk Hotel, and Graduate Hotel Richmond. STAY: Linden Row Inn. Stay historic without paying a fortune. The Linden Row Inn incorporates five Confederate row homes and two girls schools, and is regarded as one of the country’s best surviving row of Greek Revival architecture today. According to historians, Edgar Allan Poe (who lived across the street), first courted his life-long love, Elmira Royster, in the garden where Linden Row now stands. And when Irene Langhorn attended school here, her wealthy parents held a monthly “suitor party,” for years, but the picky future first “Gibson Girl” never found one to her liking. On the National Historic Register, Linden Row Inn was the brainchild of artsy, affluent, entrepreneurial Mary Wingfield Scott, who bought up these seven homes in 1949, connected the balconies and first rented to artists before turning the property over to Historic Richmond Foundation in 1980. 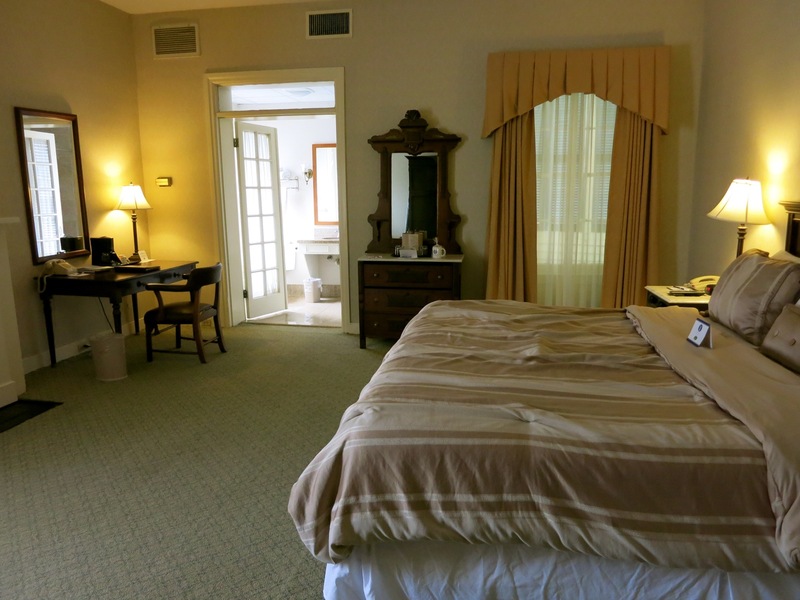 In 1988, the Inn underwent a major renovation and in 2003, bathrooms were updated to luxury standard. Elevators may be creaky, floorboards warped and slanted, some curtains frayed, but rooms are charming and clean, with much more luxurious appointments than you’d expect at this price-point. Rooms $109-$155 per night, Parlor Suites $209 night include Continental Breakfast, complimentary shuttle, free wi-fi, free YMCA fitness pass. STAY: Jefferson Hotel. The premier destination hotel in Richmond, it once sported alligators in the Courtyard fountain. Built by Tobacco magnate, Major Lewis Ginter, it was and remains opulent lodging built for tycoons. If you’ve got the bucks and want to check one of 33 Forbes 5-Star and AAA 5-Diamond hotels in the country off of your list, here’s your chance. Weekend discount rooms from $255, weekday room rates from $345. This is nice, but Richmond is nowhere in the Northeast. Maybe DC is on the line, but Richmond is definitely South, and many parts of Virginia are South. I am shocked that you put Virginia in the Northeast. Its the South. Richmond’s roots are absolutely southern. Today, (the city) is more culturally ambiguous. The pace is more southern, but social attitudes are more northern. You’d be hard pressed to find a city more liberal than Richmond. The lines are being blurred here and it’s happening at a pretty rapid pace. The blend of northern and southern culture is what makes this place fascinating, in my opinion. The suburbs are a different story. You have suburbs like the West End and Midlothian where you’d have a tough time finding someone with a southern accent, but then again places like Chester and Mechanicsville are like the deep south. Great article! We just discovered Richmond and the Central Virginia area last month. What a delightful city! My wife is from the south and she thinks it’s cute that Virginia thinks it’s in the south. But they got the “hower ya’lls” down pat. Hi Lance – yes, there will always be disputes about where exactly Virginia “fits” on the East Coast. Is it North, is it South? There’s a vast difference, though, between the suburbs of DC and the towns on the NC or TN border, that’s for sure! Virginia is the Northern Most Southern State. Its also the Oldest Southern state. The first recipe for “Sweet Tea” is from a Virginia cook book written in the 18th Century. Not only that, but we grow cotton, peanuts, and tobacco here. So I find it laughable that people think its the Northeast. Its the Northern most Southern state, and possibly Mid -Atlantic. But not the Northeast. Just a minor correction: Jefferson Davis did not take the Oath of Office as Confederate President in Richmond. He was sworn in on the steps of the Alabama State Capitol which also served as the Capitol of the Confederacy. Very shortly thereafter, the seat of the Confederate Government moved to Richmond and Virginia’s Capitol took on the additional role of Confederate Capitol. And the rest, as they say, is history!